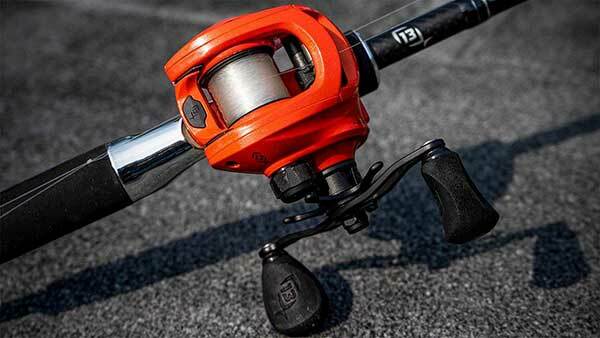 The 13 Fishing Concept Z Low Profile Bait Casting Reel with state-of-the-art design utilizes an exclusive, space-age polymer that completely eradicates the need for traditional ball bearings of all kinds. The Concept Z has indeed disrupted the mold of conventional casting reel design and successfully sets a new standard in dependability. The sophisticated design of the reel also stamps out permanently the corrosion and squeaking that is bound to occur sooner or later by the use of an advanced Concept Zero Bearing. This has made the reel an excellent baitcaster for saltwater anglers, too. 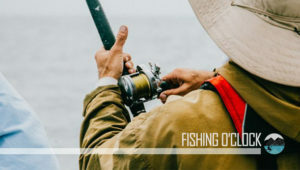 What made the 13 Fishing Concept Z Baitcasting Reel a subject of discussion among anglers since inception is the fact that it does not come with any bearings whatsoever. 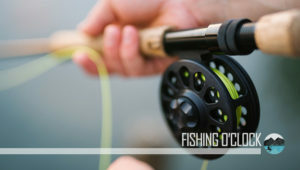 The American-made Concept Zero Bearing (CZB) polymer technology – which provides a distinct kind of reel resistance has effectively taken the place of the traditional ball bearing system that majority of fishing reels showcase on the market today. It is the first of its kind in the industry and has taken it by storm. The 13 Fishing Concept Z comes with 22lbs or 10kgs, and Japanese Hamai cut gearings of Bulldog drag. This implies that more than enough stopping power is available when you want to drop anchor on fishes. The monstrous 22lbs of fish-stopping drag allows users to pull big fish out of heavy cover without any trouble in any way. You can access the 6-way centrifugal braking system by pulling down the lever on the back section of the 13 Fishing Concept Z Baitcasting Reel. As soon as it is released, all you need to do is to pull out the side plate. You need to ensure that you don’t carry out this procedure when you are over water so that you don’t mistakenly drop the side plate since it is not attached at all. When you get into the braking system, you can readily make the necessary adjustments. Six settings are on hand that allows you to monitor the amount of braking pressure. If you are a newbie or a beginner at baitcasting a reel, experts recommend that you set it to 4 or 5. When your skill level begins to increase significantly, you can go ahead and reduce the braking force to about 2, thus allowing you to cast even farther. The HD or high-density aluminum frame which is resistant to corrosion is flanked on both sides by graphite sideplates for additional rigidity. By making use of graphite sideplates, 13 Fishing keeps the overall weight down by about 6.9 oz. without sacrificing the durability as well as the strength of the whole reel. The 13 Fishing Concept Z has a compact, lightweight design and weighs nothing more than 6.4 ounces. The extra-large foam grips or EVA Tech Knobs provide anglers with an incredibly solid feel when retrieving, thus leaving them comfortable enough to fish continuously. The arrowhead line guide system guarantees the uniform spooling of the line when retrieving and then ensures that anglers get high accuracy and distance when casting. The casting distance of the 13 Fishing Concept Z is much farther than the majority of baitcasters out there that rely heavily on ball bearings to function optimally. The Ocean Armor process is used to protect the internal components of the 13 Fishing Concept Z from saltwater corrosion. The side plate of the 13 Fishing Concept Z Baitcasting Reel makes use of an exceptional Beetle Wing design to ensure that they remain attached while allowing users to rotate it out of the way to reveal the internals. People who have, at one time or the other, misplaced or dropped a side plate while performing maintenance checks or fiddling with the brake controls, will readily appreciate this remarkable feature and be thankful for it. The 13 Fishing Concept Z Baitcasting Reel comes in one color only, and that is orange. Many users do not like this, though a few others do not mind at all. 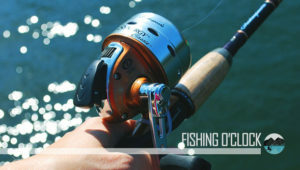 Still, it is an aspect that may affect sales as anglers who do not like the orange color may shun the reel altogether. 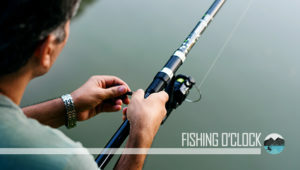 Some anglers have noticed that there is noise on the cast. The reason for this is unknown. The 13 Fishing Concept Z Baitcasting Reel may come with a lot of hype; the truth is it delivers and even exceeds expectations tremendously. But at its core, the revolutionary zero bearing concept of the 13 Fishing Concept Z makes it an intriguing reel to own and use at any time!